T.O.M. 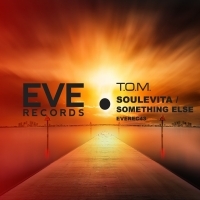 deliver a gorgeous two track tech house package for Eve with Soulevita / Something Else. Solid grooves that pack more than a little punch define both tracks with cool stabs and hits peppering the grooves to devastating effect. 'Soulevita / Something Else' is available now from Beatport and iTunes.